Is it dreary where you are? 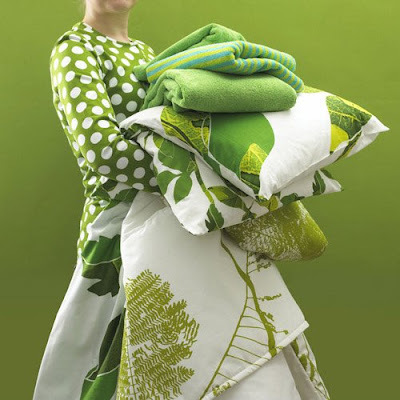 I can't help but feel cheered up by this vibrant, green photo, which I found at the website of Marimekko's store in Marylebone, London. If anyone has been brave enough to paint their walls a similar colour to the fabulous green in the background, please send me a photo so we can all have a look! ohhh..i love that green, wishing i did that instead of my new kelly green in my office. love that photo too! WOW. Thanks. I painted all weekend in my addition downstairs. Chocaolate brown and light blue-ish. I am loving that too. LOVE THIS! You win my favorite new blog of the day award! It's *very* dreary where I am. These prints are such a relief.